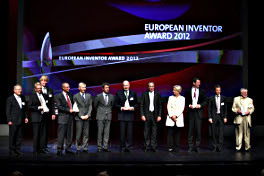 The European Patent Office today announced the winners of the European Inventor Award 2012, which honours outstanding inventors for their contribution to social, economic and technological progress. Non-European Countries: John O'Sullivan, Graham Daniels, Terence Percival, Diethelm Ostry and John Deane, Commonwealth Scientific and Industrial Research Organisation (Australia), for laying the foundation for today's wireless networking technology (Wi-Fi). "Innovation is a primary force for economic growth. It secures jobs and benefits society as a whole. But behind every innovation there are individual men and women, driven by the urge to discover and the impulse to 'make it new.' 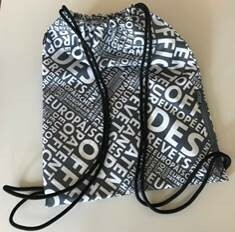 Inventors are the true heroes of the 21st century", said EPO President Benoît Battistelli. 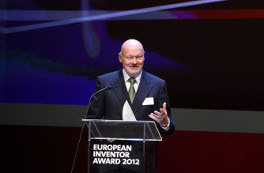 "Here in Denmark we refer to the European Inventor Award as the 'Oscar' of the patent world", Danish Minister of Economy Ole Sohn stated. " Inventors are the drivers behind innovation. We need to encourage economic growth, and knowledge is the raw material at their disposal. The effectiveness of the IP system is crucial for securing the necessary R&D expenditure," the Minister stated, and urged the EU member states to find a solution for the Central Division of the planned European patent judiciary "before the end of this month". 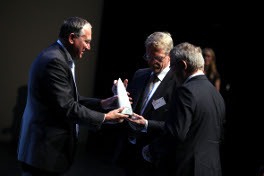 The contribution of inventors to social advancement was also acknowledged by His Royal Highness Crown Prince Frederik in an appraisal statement for the ceremony before handing over the trophy to Lifetime Achievement winner Prof. Josef Bille: "The dedication of the inventors to their work is extremely important for the economy. They bring about progress and prosperity in society." "I dedicate this prize to all my students, with whom I have always worked like a team, and who have meanwhile created some 20 start-ups on the basis of our inventions", the laureate took up the Crown Prince's statement." We indeed saw ourselves as a spear-head to changing the world with our invention. This sentiment was expressed by all winners in their statements: Changing the world for the better, supporting ongoing developments to achieve a more sustainable creation and consumption of energy, and improving the lives of patients were the most frequently heard words in the ceremony. Most laureates were visibly and audibly moved by the distinction they had received - moments of personal feelings the audience in the densely filled theatre eagerly requited with a long and warm applause, And all of winners subscribed to the closing words of Australian researcher John O'Sullivan, who was honoured developing a stable and robust W-LAN technology: "Our success will hopefully encourage a new generation of young scientists to follow in our footsteps." "These awards recognise the very best of Europe's creative spirit and ingenuity," said European Commissioner for Research, Innovation and Science, Máire Geoghegan-Quinn in a video message to the awards. "Basic research is fundamental to European competitiveness and innovation. We also need basic research that will lead to the new technologies and processes that will tackle climate change, give us sustainable transport, power our cities with clean energy, provide safe and nutritious food, and improve public health," she said.